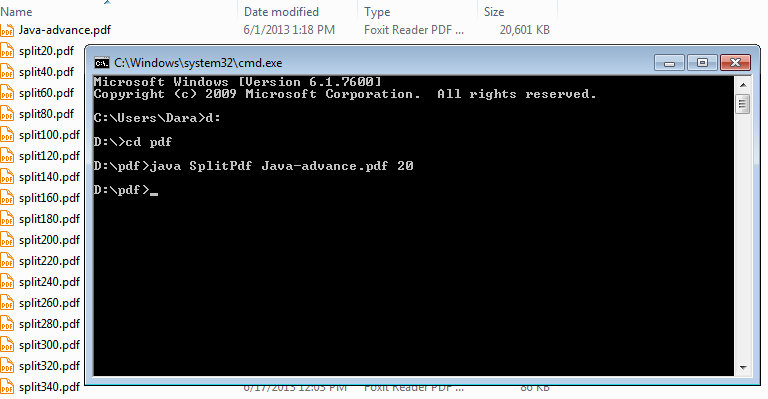 The SplitPdf program can be used to split a pdf file to many pdf files. You can split the pdf file in every any page that you want. For example, if you have 100-page pdf file and you split it in every two pages, you will get fifty pdf files. Each file has two pages. The API used to split a pdf file is iText. It is a useful and free library. For more information about iText, you can visit its web site listed at the right side bar of this post. To split a Pdf file to many Pdf files. Firstly, you need to have a PdfReader object to get all pages in the source Pdf file. Once you have the PdfReader object, you can use the PdfCopy class to get every Pdf page to be added to the Document object and write the Document out to the output file. 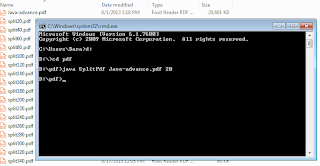 Free to test library for PDF converting, change PDF document to Text format. That is an awesome site. Exceptionally useful material i found. feel free to check Buzz Applications now. But how to get this iText library?